John Hoskins (circa 1590-1665), Miniature painter. Artist associated with 11 portraits, Sitter in 1 portrait. James I dies at Theobalds Palace, Hertfordshire and the Prince of Wales becomes Charles I. Charles's queen, Henrietta Maria, daughter of Henry IV of France, arrives in Dover escorted by George Villiers, Duke of Buckingham. The court moves to Oxford temporarily due to an outbreak of the bubonic plague. Under the patronage of the queen, a new theatre company is formed, the Queen Henrietta's Men. Richard Perkins is a founding member. 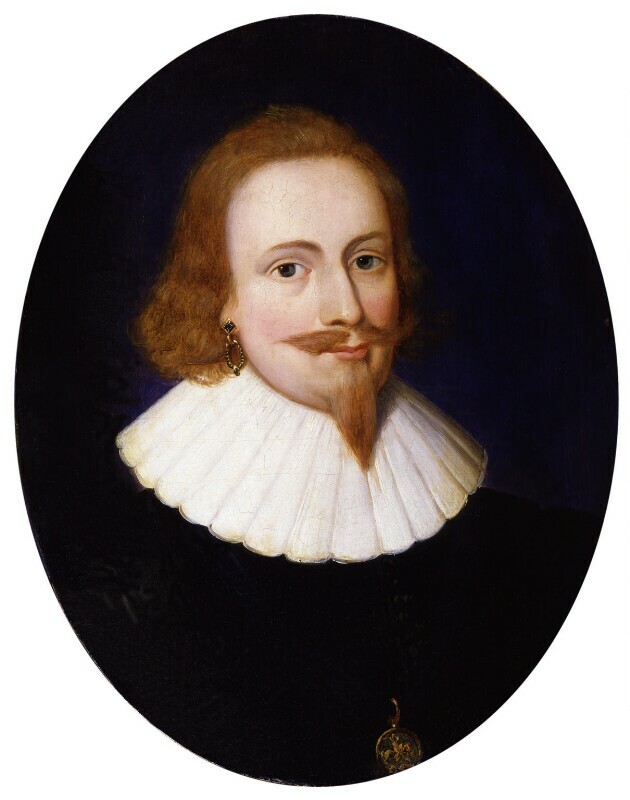 Edward Cecil, Viscount Wimbledon, is recommended by George Villiers, Duke of Buckingham to command a naval expedition to Spain. Though some Spanish ships were captured, Wimbledon failed to destroy Cadiz where most of the Spanish fleet was moored. Treaty of The Hague is signed between England and the Dutch Empire.